The pro-European MP pointed the finger firmly at this side of the shore rather than the EU for the stalemate over the past two years. Ms Veld said: "The real problem doesn't lie there. The real problem lies within the UK, within the Government, within the Tory party, between the parties, because there has not been any agreement over the relationship with the EU between any of them over the last two years. The Dutch MP also refused to speculate on the draft withdrawal agreement agreed between the UK and the EU, stating "we don't do conspiracies”. This is following widespread outrage from leading Brexiteers before full details of the announcement were released. Former foreign secretary Boris Johnson said he would vote against the deal and urged the Cabinet to "chuck it out”. Whilst Jacob Rees-Mogg, the leader of the pro-Brexit European Research Group called the deal a “betrayal”. 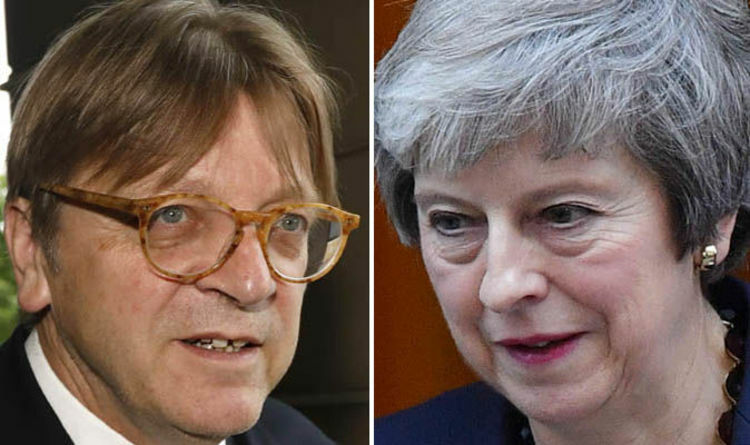 Ms Veld added: ”None of us, neither you or I, have actually read the document, but from what we hear this is going to be part of the backstop solution and a new relationship will have to be negotiated between the UK and the EU. The Prime Minster Theresa May is currently in an extended meeting with ministers as she battles to get them onboard with her plans. Addressing the House of Commons during PMQ’s today, Mrs May said: “The Cabinet will decide on the next steps in the national interest. "I am confident that this takes us significantly closer to delivering what the British people voted for in the referendum." Labour leader Jeremy Corbyn said the draft deal was "a failure in its own terms”. Speaking in the Commons, leading Brexiteer Peter Bone told the PM she risked losing “millions of voters”. Mr Bone said: ”If the media reports about the EU agreement are in any way accurate, you will not be delivering the Brexit people voted for and today you will lose the support of many Conservative MPs and millions of voters across the country." After PMQ’s the Prime Minister lost the support of all 13 Scottish Conservative MPs who signed a joint letter warning the Prime Minister that they could not support a deal which failed to restore "complete control and full sovereignty" over the UK's fishing waters. In the letter, the MPs warn: "We could not support an agreement with the EU that would prevent the UK from independently negotiating access and quota shares... We also cannot stay in the Common Fisheries Policy after December 2020."